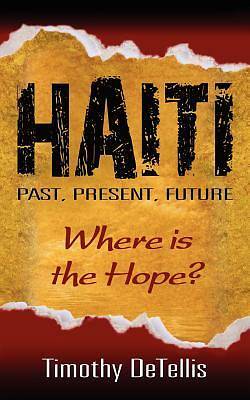 When I think about what could be in the future for Haiti, my heart beats with hope. I have seen firsthand children who were born into poverty grow up through our mission and become leaders. I believe the future of Haiti is wrapped up in three specific objectives. This first of these is its infrastructure. The country of Haiti has nothing to rebuild. We must build a new Haiti. From airports, to railroad systems, to roads and ports for shipping-Haiti must pioneer a future of mobility and commerce. The second objective is education. More than 50% of the children in Haiti never attend school. There is no greater poverty than not knowing how to read or write. That is slavery...and it must stop The children of Haiti deserve an education to help make a better future. Last, but not least is the establishment of churches. Why? The church promotes values of family, community, and trust in God. With God all things are possible and there is no greater hope. I invite you to read my blog at www.timdetellis.com where I share more long-term ideas for helping Haiti be a country of opportunity.